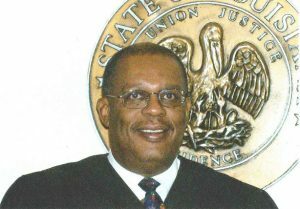 Judge Alvin Batiste, Jr. is a resident of Plaquemine, LA; born in New Orleans, LA and raised in Baton Rouge, LA. He is the father of six children. Judge Batiste Graduated with a B.S. Degree in Economics from Southern University in August, 1976 and received his Juris Doctorate from Southern University Law Center in May, 1981. He was admitted to the Louisiana State Bar in October 1981.